This is a 6 piece Bulk package of the AX-18A. 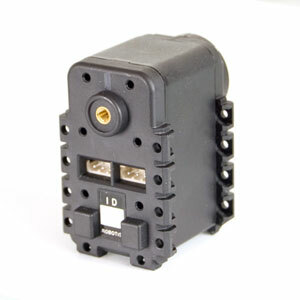 In this bulk pack, the servos are bare and do not come with any additional cables, brackets, or hardware. If you need this hardware, it must be purchased separately. 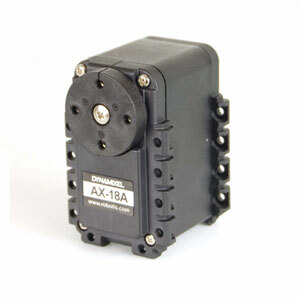 The AX-18A servo actuator from Robotis is the next step up from the hugly popular AX-12A Servo, offering nearly twice the speed and 15% more torque! The AX-18A robot servo retains the formfactor and all of the same features of its predecessor: the ability to track its speed, temperature, shaft position, voltage, and load. 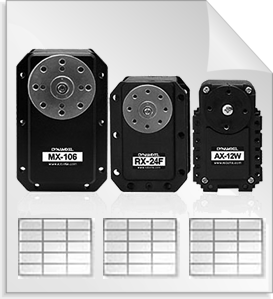 As if this weren't enough, the control algorithm used to maintain shaft position on the AX-18A actuator can be adjusted individually for each servo, allowing you to control the speed and strength of the motor's response. All of the sensor management and position control is handled by the servo's built-in microcontroller. This distributed approach leaves your main controller free to perform other functions. the CAD files available. All rights reserved.